This article is about the city. For the airport, see Incheon International Airport. 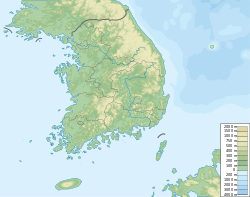 For other uses, see Incheon (disambiguation). Not to be confused with Icheon. As of 2012[update], Yeongjong International City’s 34,183 acres (13,833 ha) centering on the Incheon International Airport is being developed as an eco-friendly airport city scheduled to be completed by 2020. Paradise Co, a South Korean casino operator, said in October 2013 that it will build the country's largest casino on Yeongjong Island. ^ "- Olympic Council of Asia". 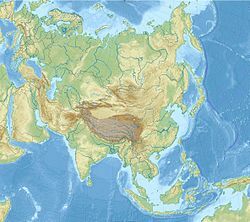 www.ocasia.org. Retrieved 2019-02-18. ^ "Kobe's Sister Cities". Kobe Trade Information Office. Archived from the original on 2013-04-21. Retrieved 2013-08-11.